iTunes lets you enjoy all your favourite songs in one place, anytime you want. However, the experience can flag pretty quickly when you have to struggle for space to use your iTunes. iTunes creates lots of useless files or junk files while you are using it. Don’t you know that, not only huge space is occupied, but also iTunes gets lagging? Among the huge iTunes space, there is a “Downloads” folder in iTunes media folder. Take it easy, this post will get you covered. Part 1: What Does Downloads on iTunes Do? What Does Downloads on iTunes Do? Perhaps one of the best experiences of using iTunes is being able to download what you want to keep on your computer. It’s a great way to ensure that your best highlights are not far from your computer. A lot can happen when you’re trying to download stuff though. Music or album artwork downloads can fail or download multiple times. Logs can be created of these events and they are kept on your computer. All this data simply sits on your computer for as long as you let it. Depending on how long you leave it, this data can begin to take up a lot of valuable device space. You could be giving up anywhere from a few megabytes to several gigabytes of space. The frustrating thing about this downloads data is that you often cannot get to it all at once. You can get rid of this data but the problem is how. You don’t have to manually clean your downloads though. iMyFone TunesFix can help you get all that done. In one click. TunesFix, like its name shows, to tune up your iTunes, is a great iTunes repairer and cleaner. It controls your iTunes space at one place and handles all your iTunes issues and can help you fix any errors that you’re contending with. Remove all useless iTunes files like installer cache, cookies, logs, mobile application folders and junk files, all in one click. Clean up old backups (including those made by 3rd-party software), used software update files and other useless data, all at a time or as you wish. 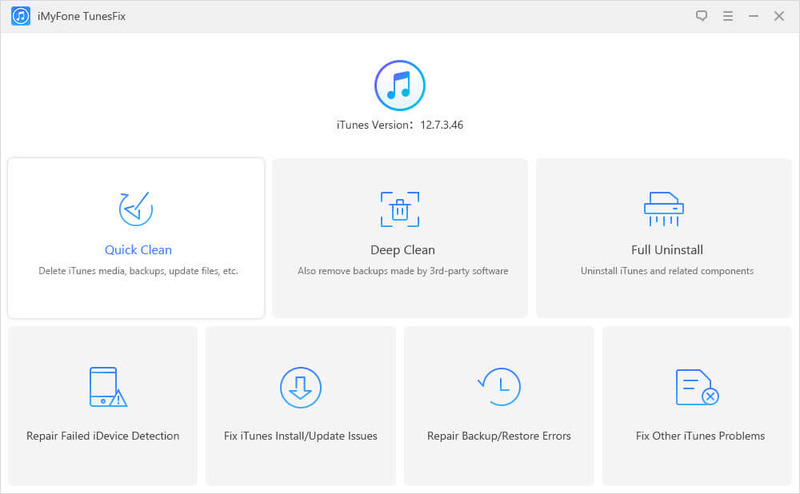 Fix various iTunes issues and errors, like iTunes install/update issues, backup/restore errors, etc. Completely uninstall iTunes and related components without leftovers. The Quick Clean and Deep Clean features of TunesMate can help you easily clean your iTunes downloads. With these features, you can simply make your iTunes clean and run at optimum. Step 1: Launch iMyFone TunesFix. The app will automatically detect your iTunes and related software components. If your iTunes is damaged, TunesRescue will help you repair the errors. Note: Choose “Deep Clean” if you want to clean backups made by third-party software. Step 3: When it is done scanning, you can check the “Downloads” in “iTunes Media Files” category. Then click “Clean”. 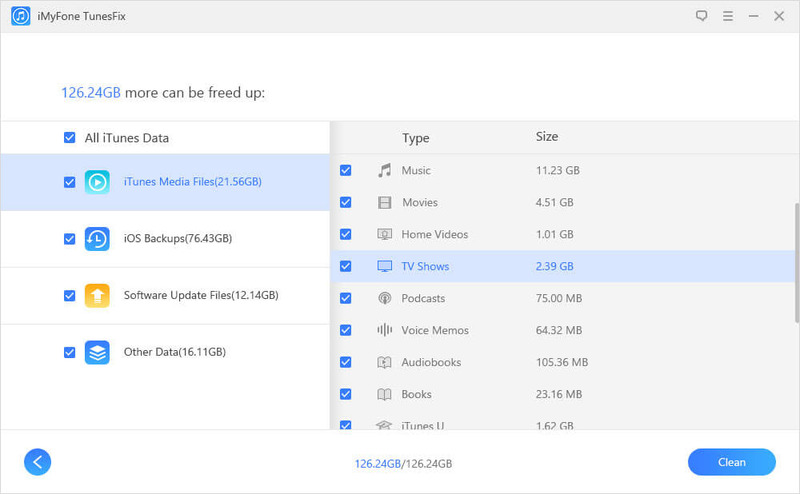 It is possible for you to manually delete the iTunes downloads data that is taking up your computer space. Although, in order to do this, you need to know your way around your device and its directories. 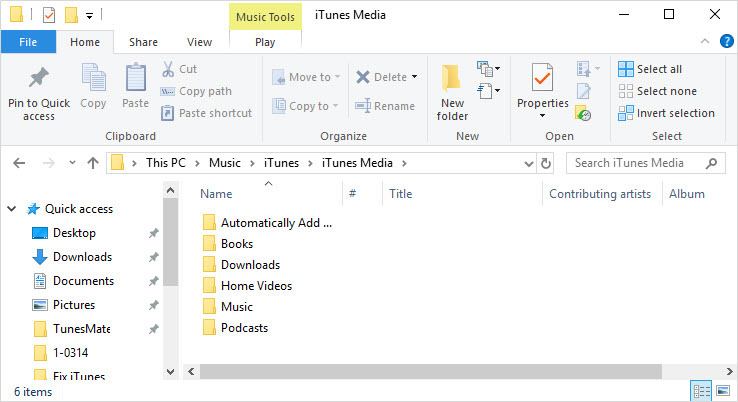 If you are using a Windows device, you can generally see your downloads in the following location: C:\Users\user\Music\iTunes\iTunes Media\Downloads. If you are using a Mac, you can find downloads at: Go > Home > Music > iTunes > iTunes Media > Downloads. While you can find your downloads at these locations, the problem is how to go about deleting those files you want gone. If you know your way around your device well, you could manage well. Maybe. However, the exercise is likely to take a deal of your time. You may also run the danger of deleting files you would rather keep and keeping files you would rather delete.